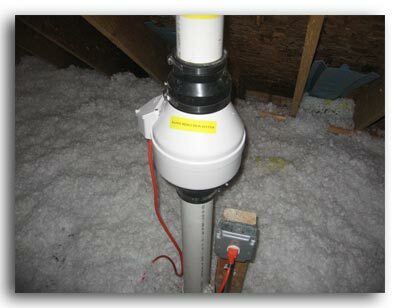 Interior Fan Installation: The radon fan may be located in the attic of the house or garage. The radon will be exhausted out the roof. Interior Fan Installation: Another photo of a fan in the attic of the garage. 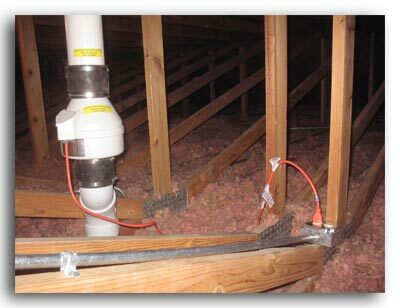 Interior Fan Installation: When the radon fan is installed in the attic of the house or garage, all that is seen on the outside of the home is the exhaust stack on the roof. 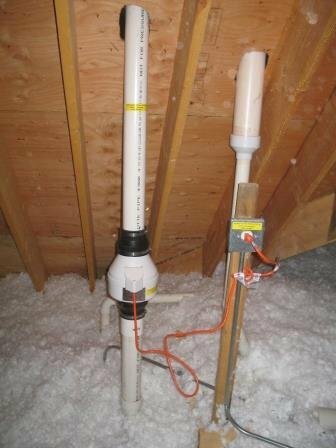 Interior Fan Installation:When the radon fan is installed in the attic of the garage, the radon pipe will be visible in the garage. 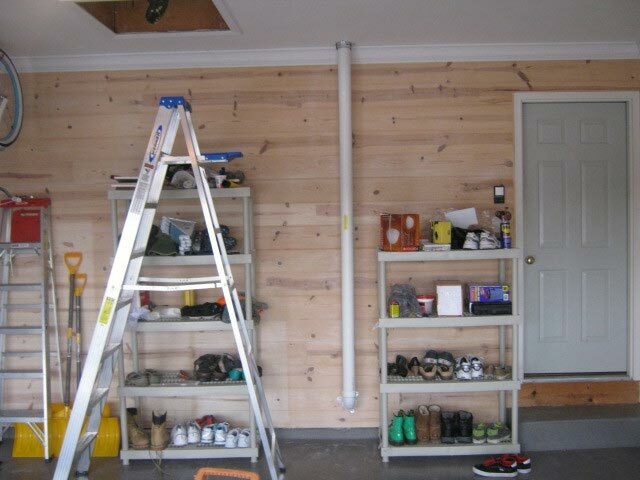 We install a fire collar where the pipe comes through the garage wall from the basement and where the pipe enters the attic. Fire collars are very important because they help to prevent the spread of fire by maintaining the integrity of the fire wall. 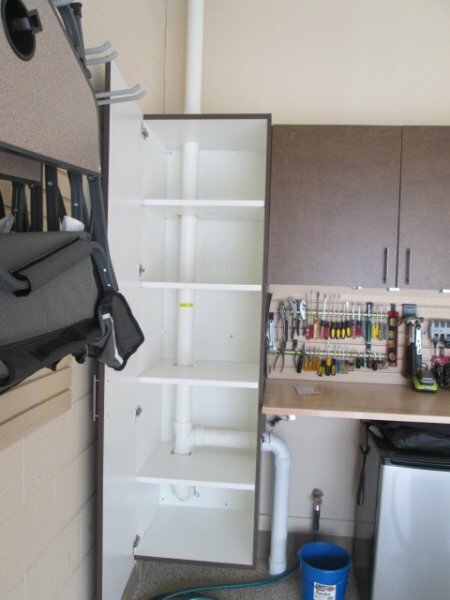 At this house we ran our radon pipe through a cabinet in the garage, then into the attic of the garage. 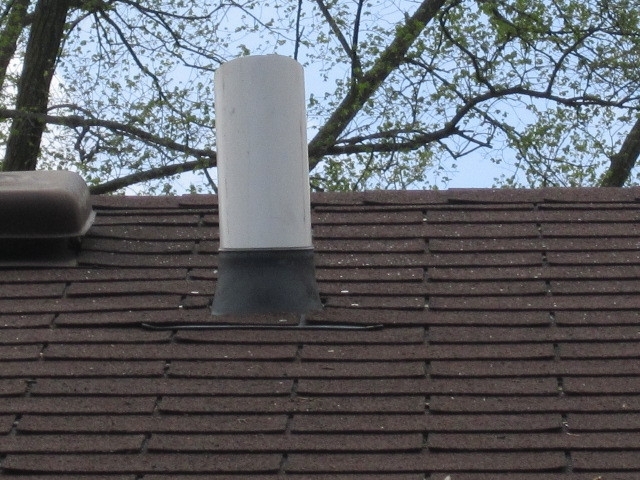 When the radon pipe exits through the roof, we install flashing properly. 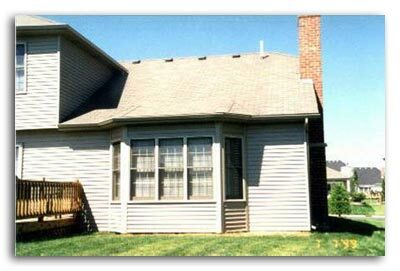 Shingles are covering 90% of the flashing, preventing water leaks. We treat every house with care to provide the best solution. Installing the inline fans in the attic was not possible due to accessibility. Locating the radon fans on the roof was the best option. 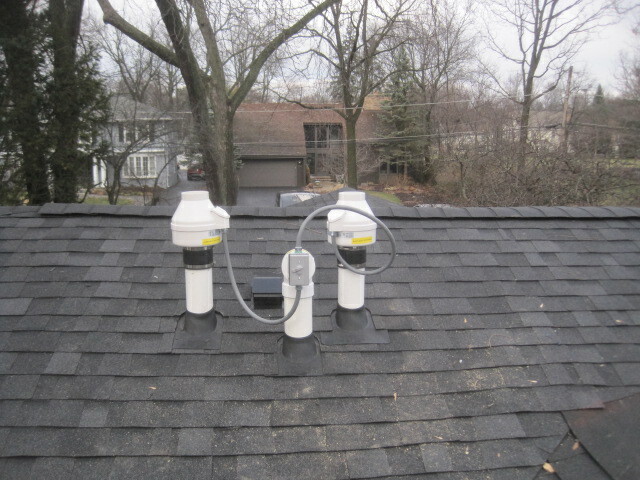 This home had many additions and crawl spaces that required a total of seven suction points and two radon systems to provide a safe house with a unique solution.